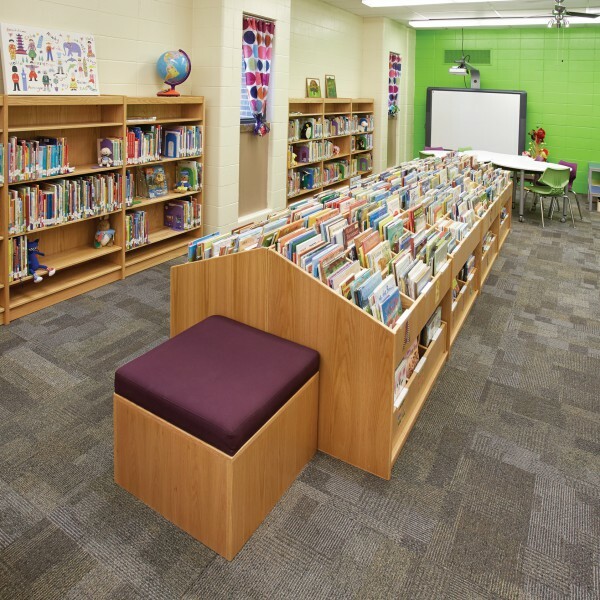 Originally two separate rooms, the new library has heightened awareness of the importance of learning spaces and created excitement around the library. 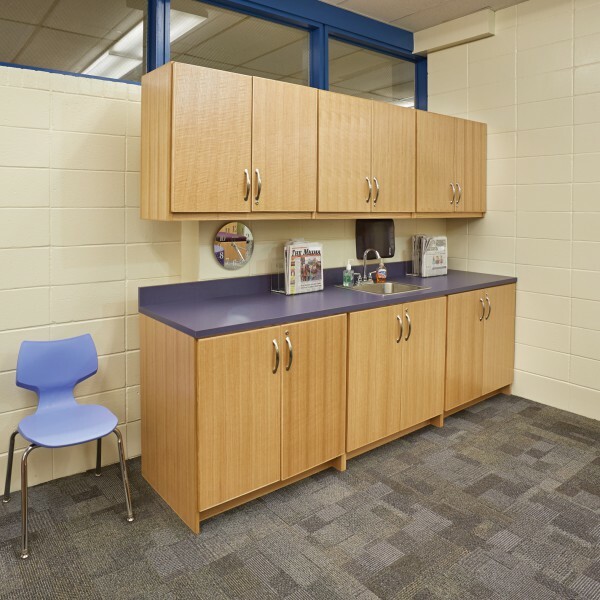 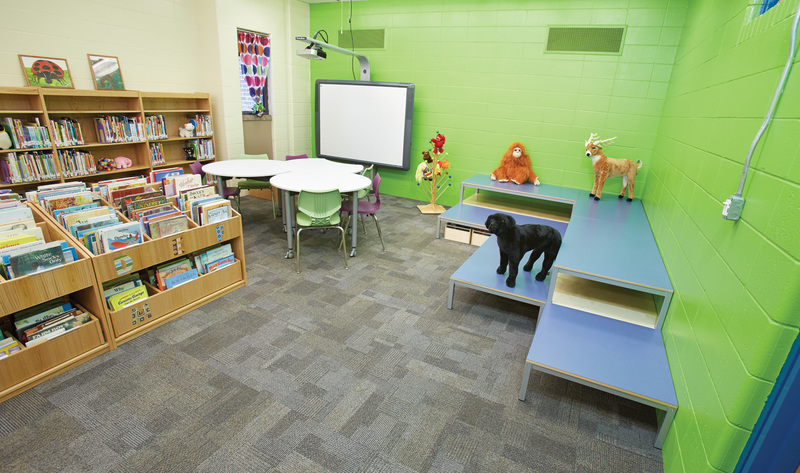 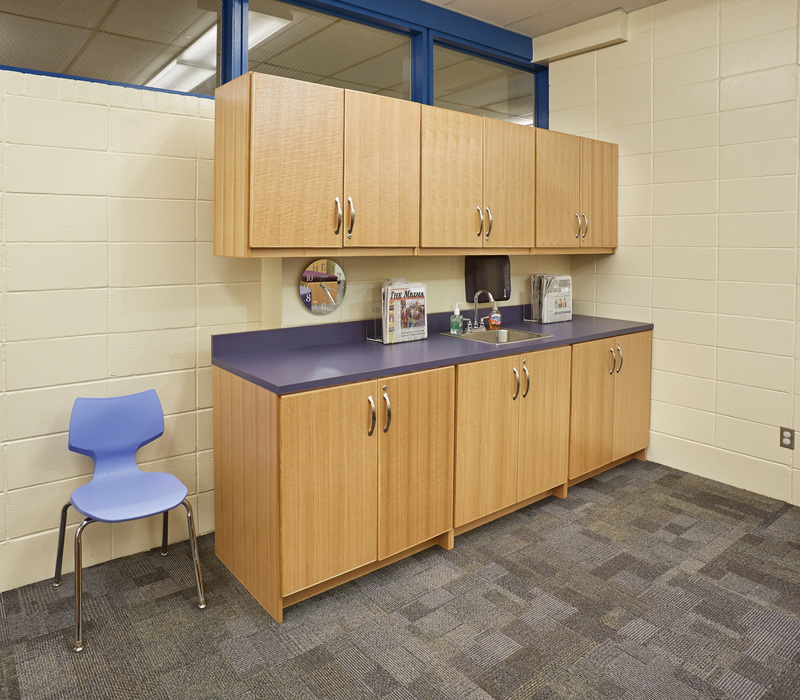 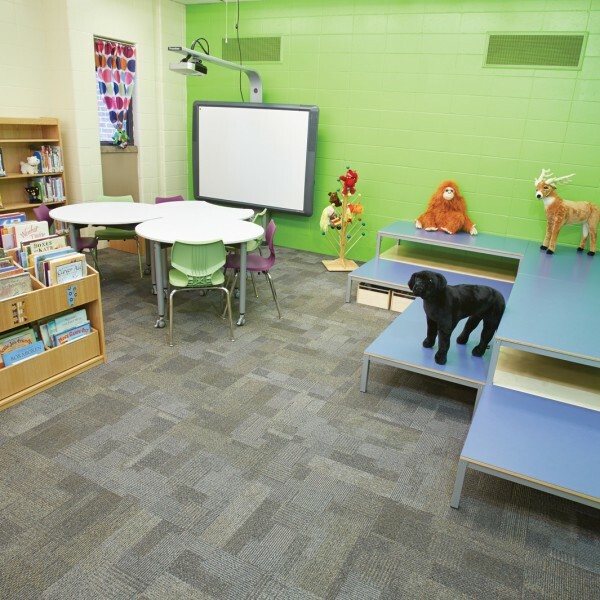 Student and staff needs were carefully considered to create spaces that are both functional and aesthetically pleasing. 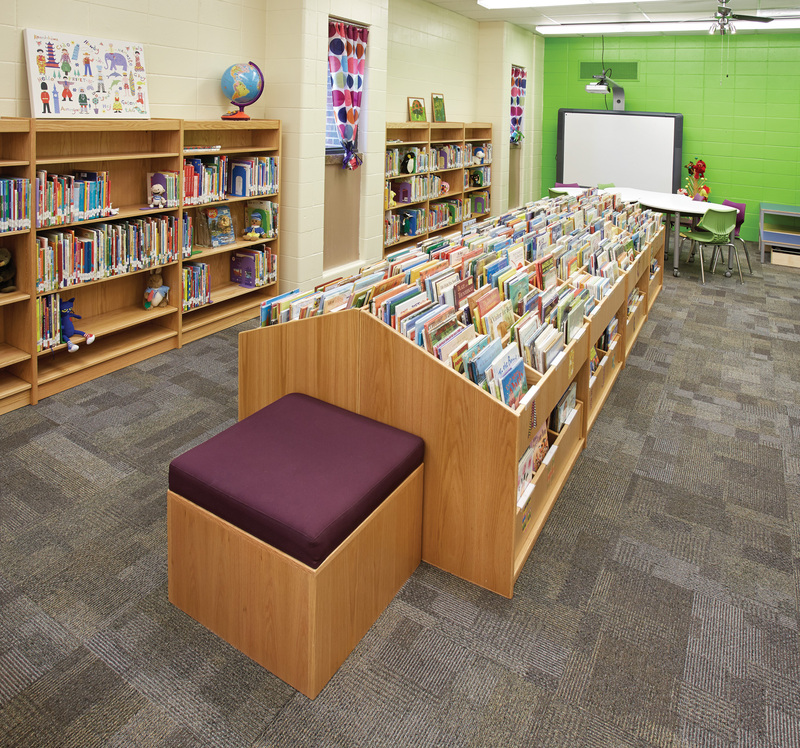 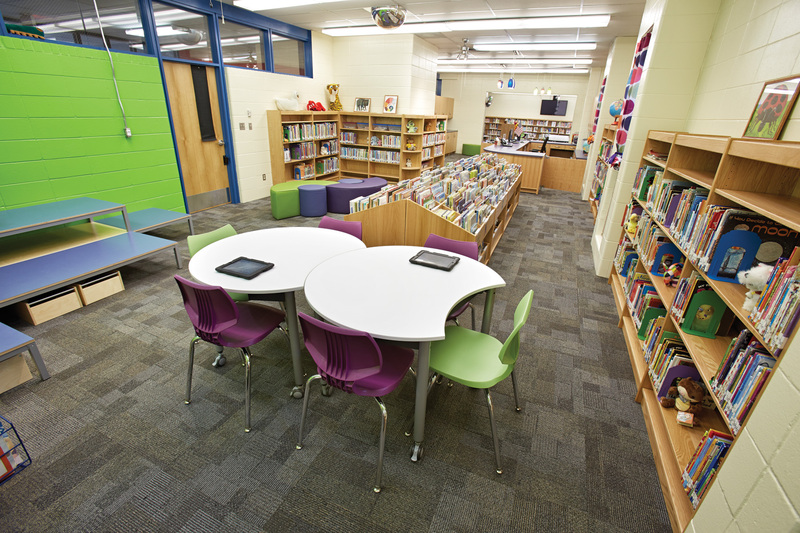 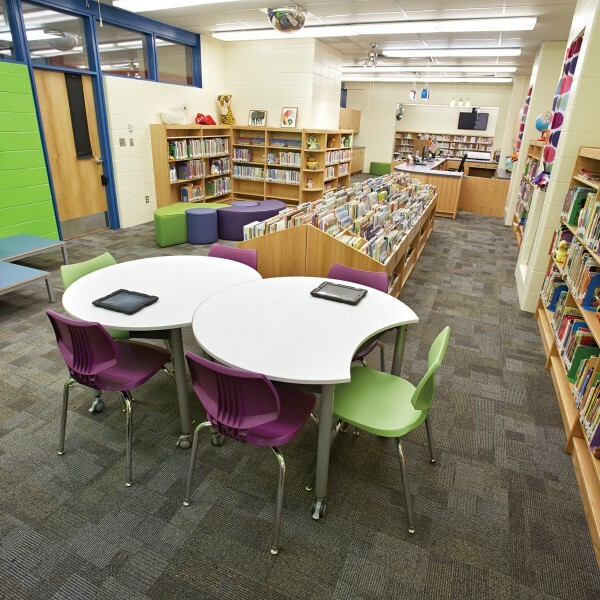 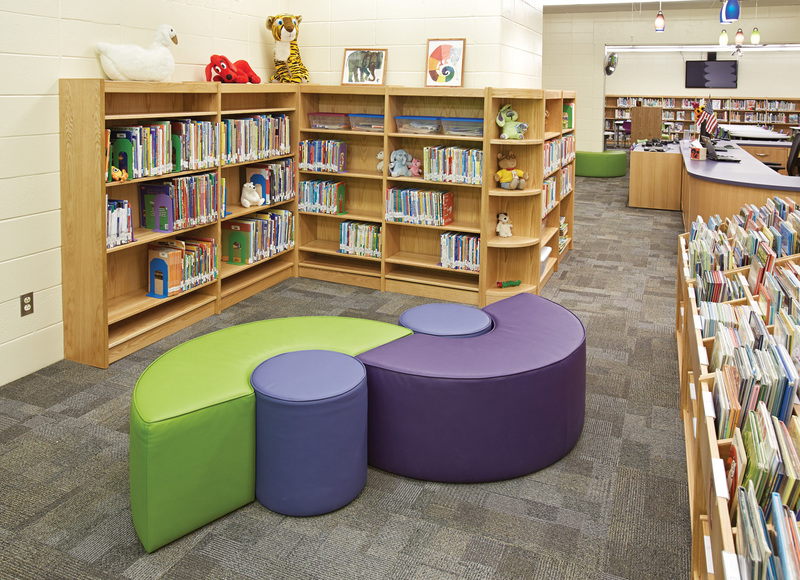 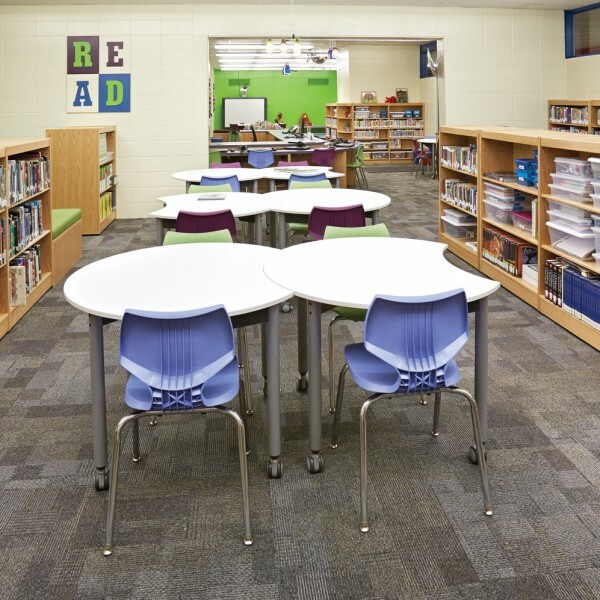 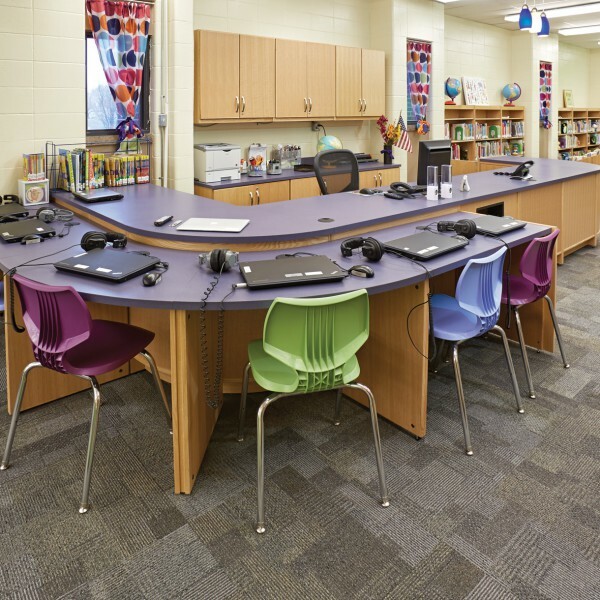 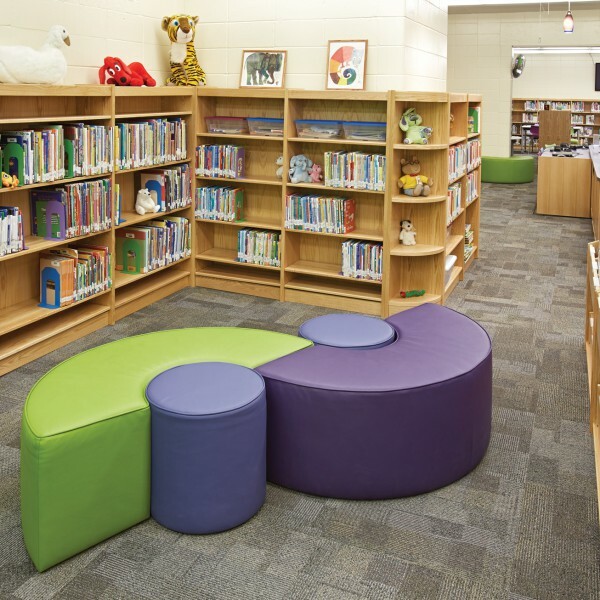 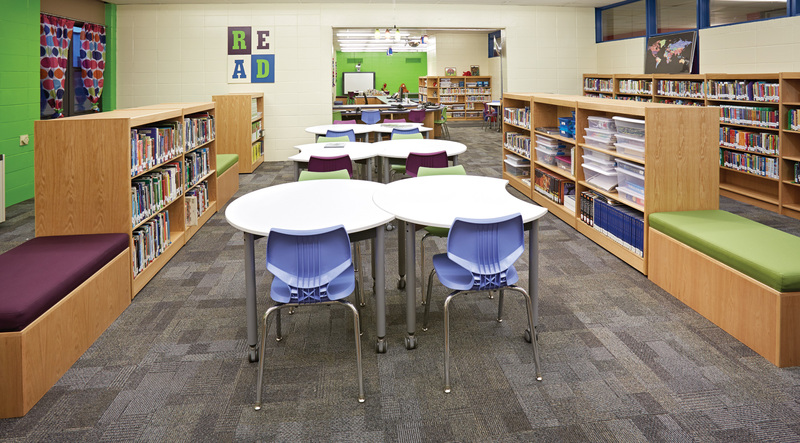 Flexible tables and mobile shelving allow that space to be reconfigured for different purposes and individual pieces such as the stage do double duty as storytime seating and a performance stage. 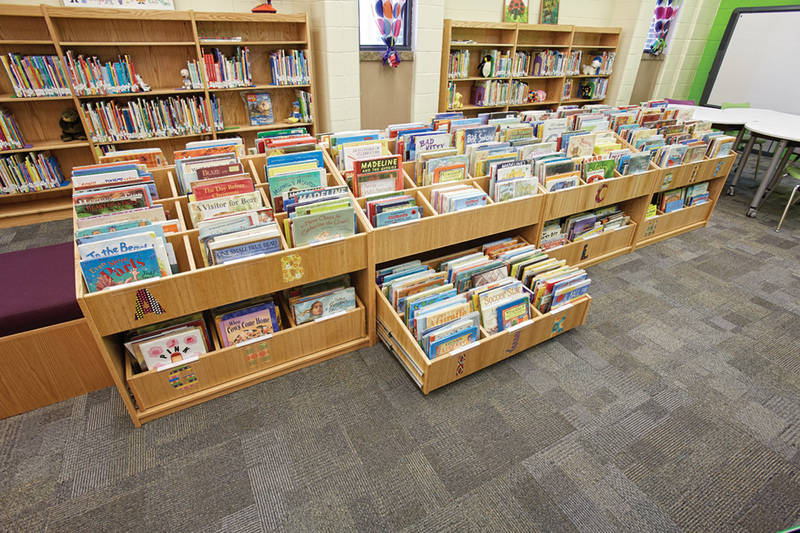 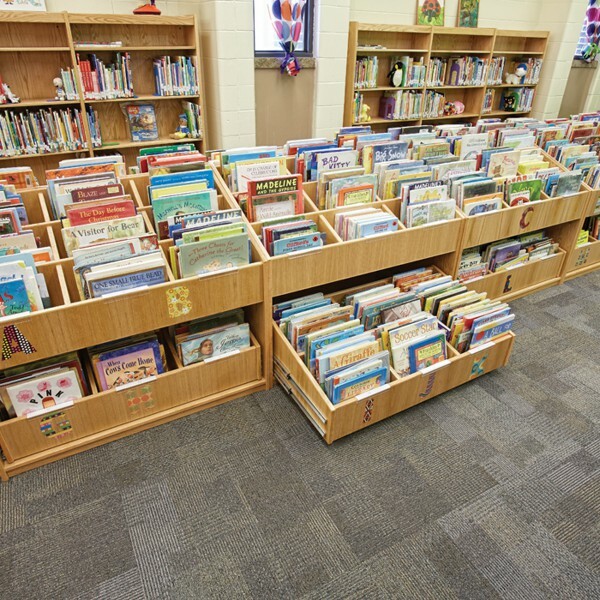 The picture book collection is now housed in book browsers which allow greater accessibility for young children. 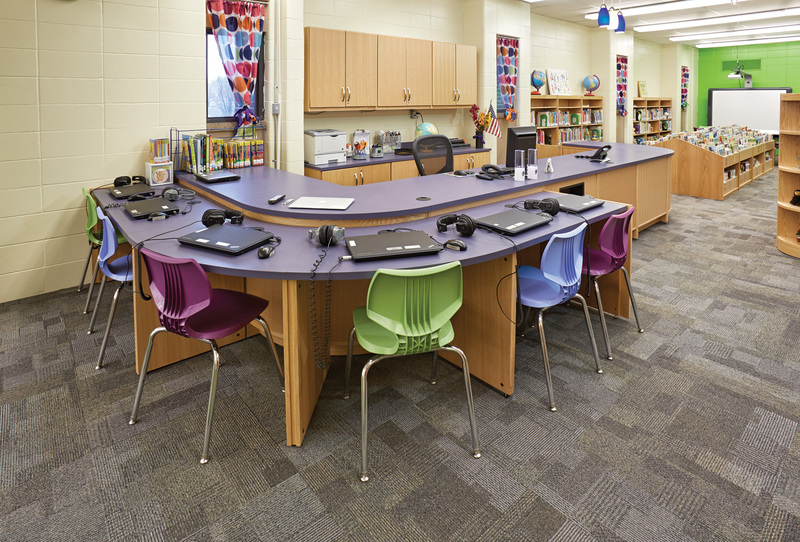 Custom technology tables are adjacent to the circulation desk to allow for librarian supervision.